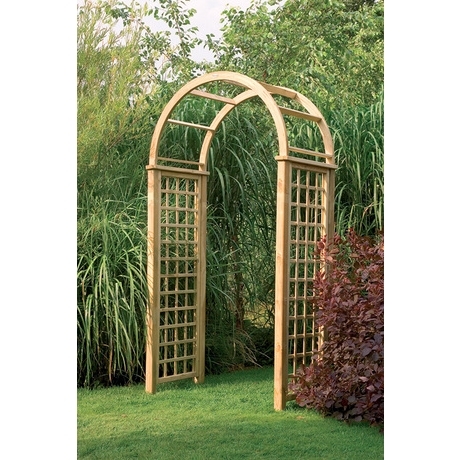 The stunning Florence Garden Arch has an elegant high curved rafter top section with rebated square trellis side panels just perfect for climbing plants. 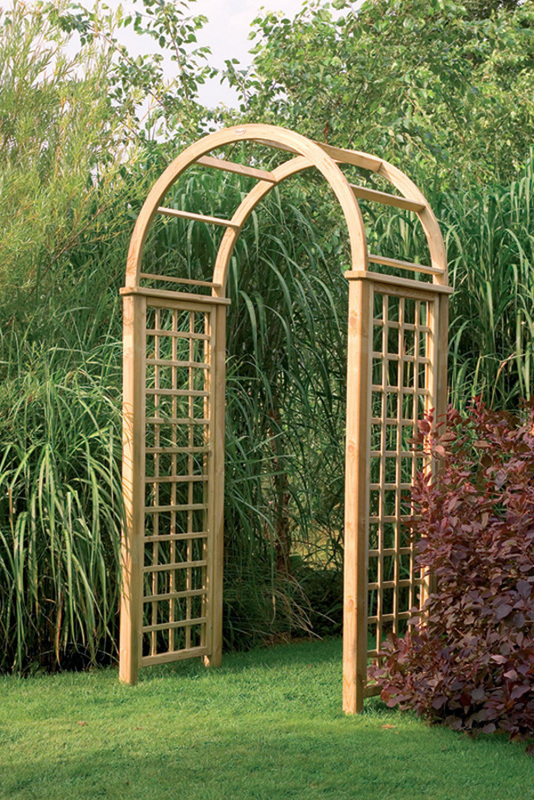 Use the Florence Garden Arch to create a stylish entrance, divider or focal point in any garden setting. Manufactured from FSC Certified timber sustainably sourced pressure treated for a long life no re treatment required.- maintenance free.